Read Alliance windows reviews to get homeowner opinions and contractor viewpoints on the strengths and weaknesses of this company, their window series and customer service. Alliance comes with many mixed reviews. They are associated with Certainteed, which is a known brand. Certainteed are known for producing what would be considered a very average quality window and Alliance is exactly the same. Basically this window is a builder’s grade quality window and anyone looking for quality windows should be looking at some of the other brands available including Okna, Gorell and Soft-Lite. Another problem that many customers are finding is that several affiliates closed, which has left many Alliance window owners stranded and unable to get the service they were promised. 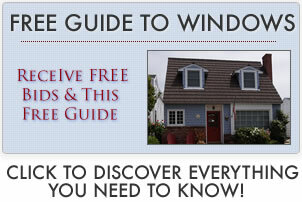 Check out all of our Soft-Lite window reviews. I am so disappointed with our choice after choosing Alliance for the replacement of thirteen windows. While the windows have proven to be very poor quality, the installation was much to be desired. We have been left with gaps around the windows. I am absolutely horrified by the service we received from this window company. Alliance were originally part of CertainTeed until a few years ago. Originally they were called North American Window Alliance and then separated to form CertainTeed and Alliance, two separate window companies. The sad truth is that CertainTeed quality has been reduced over the years, they are now made by MI Windows and Doors, but Alliance make a pretty decent builder grade window, in my opinion. I find that the CertainTeed Bryn Mawr, which is a well-known window is actually inferior to the Alliance Hawthorne window, in fact I would go as far as to say that the Hawthorne is on a par with the Simonton 5500. The Alliance Belmont is an excellent choice for middle of the range windows, while the Hawthorne is a decent vinyl option. Explore additional replacement pricing and costs. I wouldn’t go as far as to say that Alliance are the worst windows on the market right now. When you look at how much you will pay for them, there are definitely better options available, such as Gorell, Simonton and Sunrise. If I had to mention the worst windows, I would say it’s the Pella Impervia, they have poor performance numbers and there is nothing visually appealing about them. If Alliance is the only window available in your area then it’s good to know you could do worse. Check out all of our Simonton windows reviews. I haven’t had good experiences with the Alliance windows. They are a true builder’s grade window which is only good for rental properties or to add to a property to sell it, it should not be used if you intend living in your home for any amount of time. Being located in South Jersey, there are so many other good brands available which outshine the Alliance windows. Alliance is a very popular brand here in New Jersey and I have many contractor friends who install plenty of these windows. They all say the same thing, the windows are not the best quality, but they install them so they can bid the lowest price. It’s in the installation that makes the difference. With the right installer you can make any window work perfectly. Find a good manufacturer and ensure you have a knowledgeable installer that can do the job and there won’t be any problems with using Alliance.